The Babylonian Map of the World is a labeled depiction of the known world from the perspective of the Babylonians. 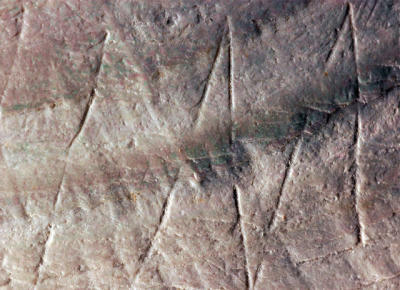 The map is incised on a clay tablet, showing the city of Babylon somewhat to the north of its center; the clay tablet is damaged, and also contains a section of cuneiform text. 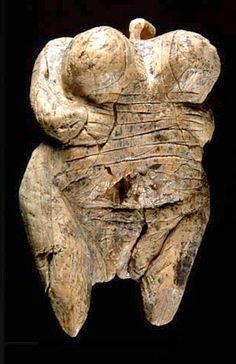 The Venus of Hohle Fels (also known as the Venus of Schelklingen; in German variously Venus vom Hohlen Fels, vom Hohle Fels; Venus von Schelklingen) is an Upper Paleolithic figurine of a woman hewn from the ivory of a mammothtusk that was located near Schelklingen, Germany. 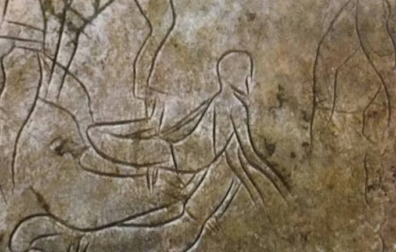 It has been long accepted that many prehistoric paintings were connected with ritual magic to ensure fertility and success in hunting, but new theories suggest that a richer and more complex system of sexual symbolism may be involved.